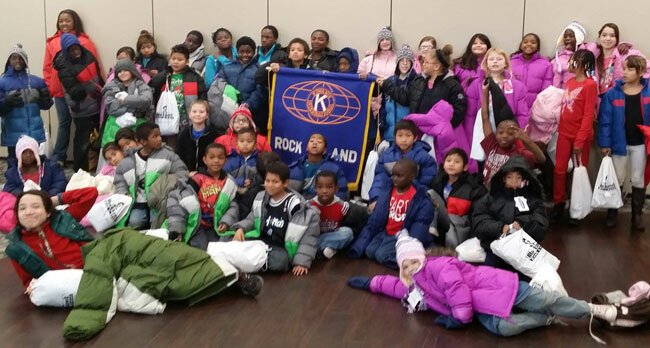 Annually the Kiwanis Club of Rock Island is proud to sponsor the Ray Lundell Memorial Coats for Kids event. 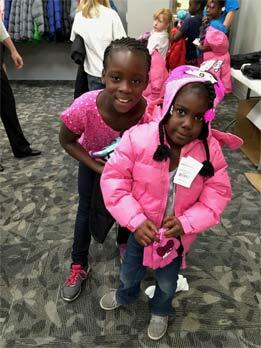 Partnering with Johannes Bus Services, Chic-fil-A and a local retailer, Kiwanis cloaks 50 children in brand new winter coats, hats and gloves. 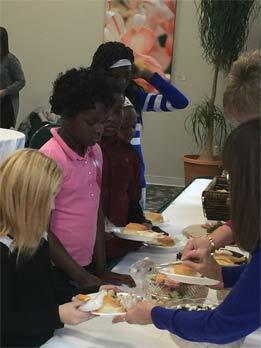 We ask the school nurses at 3 local elementary schools that have a majority of their children on free or reduced cost lunches to recommend children to us. 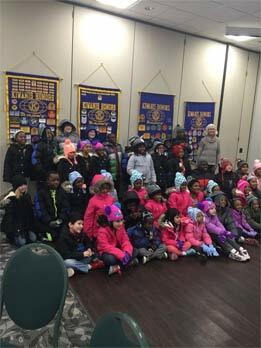 Once we have identified the 50 lucky children we offer a fun filled day taking a school bus to a store where they get to pick out their new winter apparel. As one of our most gratifying service projects, our membership shows up many times with prospective members since this event best portrays what Kiwanis is all about. Please use our online directory to contact a member if you would like to support this worthwhile event either through volunteering or a financial contribution. Kiwanis is a not-for-profit organization and not even cent of contributions are used for administrative costs. All donations have a 100% direct benefit to the community we serve.